Recently there was a workshop conducted in my college(P.I.C.T) by 3 students namely Kapil, Bhanu and Nitin from IIT, Bombay to teach the features and the extraordinary functionality of BLENDER. 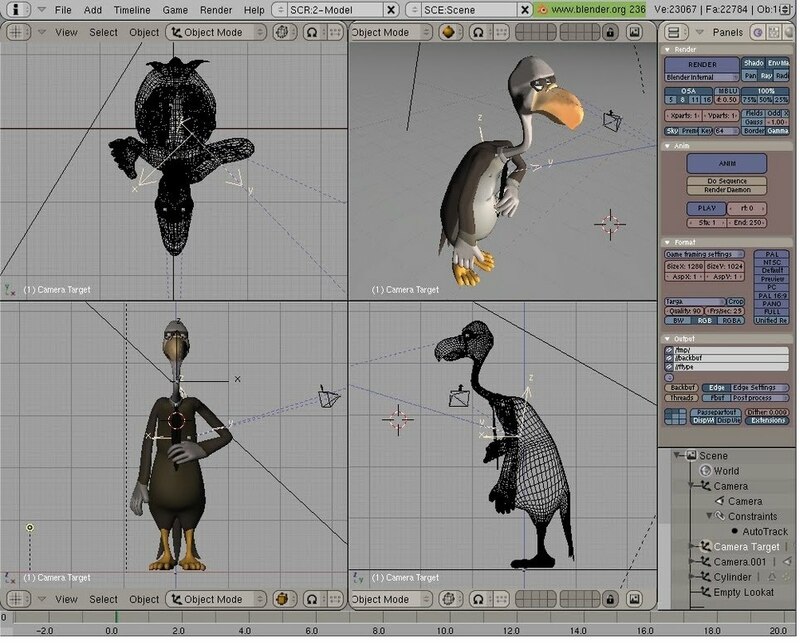 Blender is an open source software which is incredibly very powerful. 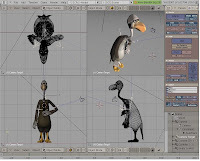 You can create interactive 3D games and beautiful 3D animation in blender. The power of blender surely resides above the abilities of Flash as well. I cannot comment about Maya and 3DMax because I have never been the user of these development tools. The primary virtue of blender that makes it so useful is that it provides you with as many views of an object/s as you wish. It creates different frames in the main window which can be used by the developer to entitle them as front view, top view, side view, camera view. The changes made to the object in one view are respectively reflected in all the other views. Blender runs Python scripts at the background. So if you intend to get your hands up on blender, its preferable to have python installed on your computer. Even if you dont have any python installation on your computer, blender runs smoothly but it cannot guarantee running all the inbuilt scripts properly.